I understand the frustration and have heard the calls from Houstonians for something to be done about our streets. My pothole repair initiative is the first step in gaining your trust on this issue. The goal is to assess and repair potholes reported to the 311 Help and Information Line by the next business day. As part of this effort, we have streamlined operations and put in place improved customer response protocols. I know this is a short-term fix, but it is a step that we need to take to get us to the long-term solution for our streets. I know our hardworking City street crews are up to the challenge. This website has been created to provide information about what is and what is not a pothole as well as access to real-time graphs and charts about our progress. Thank you for helping us to make Houston streets safer for all drivers. 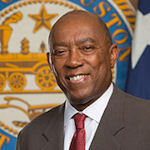 February 17, 2016 -- One month after formally launching his new pothole repair program, Mayor Sylvester Turner has released an independent report that verifies the pothole repair rate displayed on the City’s website. 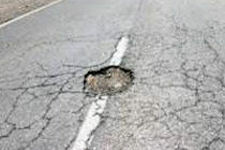 A pothole is a hole in the roadway pavement that may vary in size and shape. A pothole forms when water has seeped under the pavement and into the road base. As vehicles run over these weakened areas, the pavement disappears and the hole gets larger. In the City of Houston, a pothole is considered any area of missing or severely deteriorated pavement that is up to about 5 feet by 5 feet. Repair – to restore to safe condition after damage has occurred. 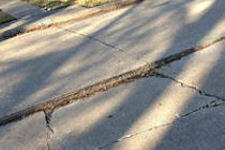 Used for localized problems such as potholes, areas of pavement deterioration, concrete faulting. 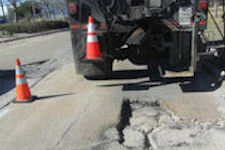 Typical repair methods include pothole filling, skin patching, partial depth patching/repair, full depth repair, or a single concrete panel repair. Rehabilitation – to restore to near original condition. Used for distressed streets where the overall ride has degraded. 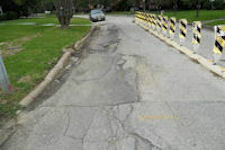 Typical methods used are asphalt overlay or multiple concrete panel replacement. Reconstruction – to comprehensively rebuild to a new condition with current criteria. Used to rebuild subgrade, roadway base, new roadway surface, roadway appurtenances, signalization, signage, marking, lighting, trees and plantings, and may also include replacement of utility lines located within the road right of way.